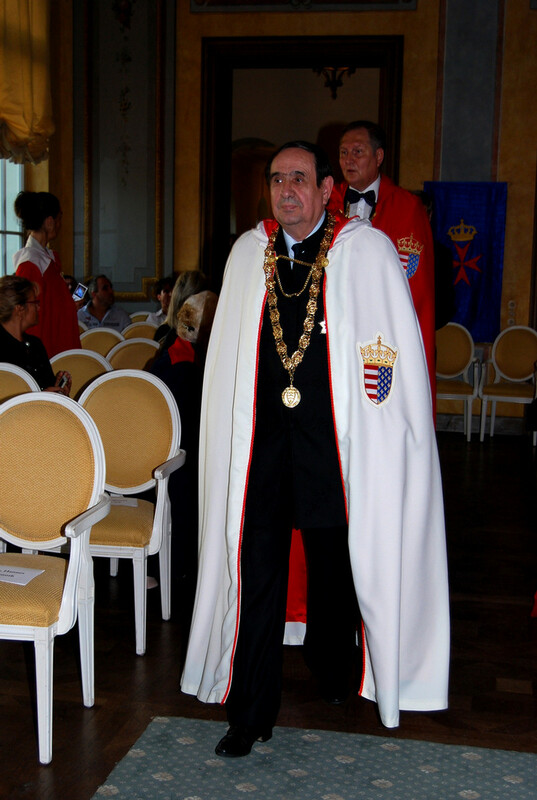 The Hungarian Grand Priory of the Knights of Malta (KMFAP) organised its 23rd international knight ceremony on the 18th October 2014 in Château Bela, Slovakia The knighthood ceremonies have traditional protocol since the historical beginning, and in this spirit the Hungarian Grand Priory of the Sovereign Order of Saint John of Jerusalem, Knights of Malta, Federation of the Autonomous Priories (KMFAP) organised its 23rd Ceremony of Investiture, for the 5th time in cooperation with the Slovak Grand Priory, in the halls of Chateau Bela in Slovakia on the 18th October 2014. 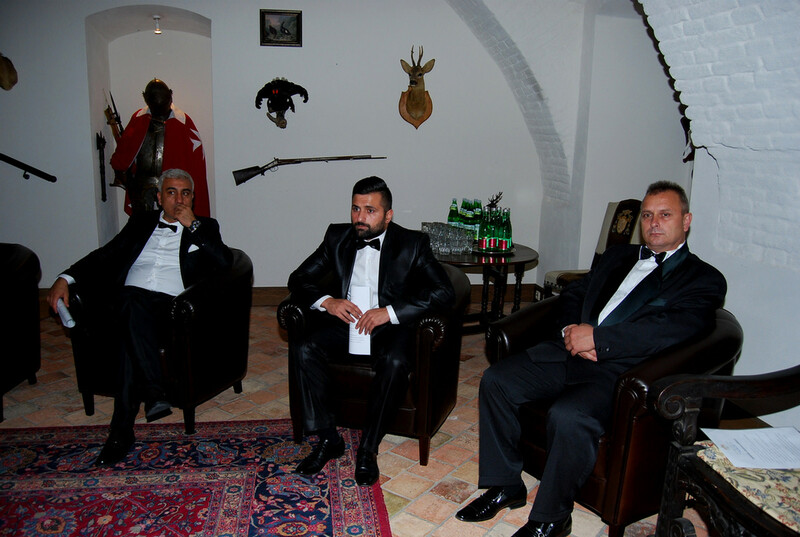 This time the Knight Ceremony of the Knights of Malta (KMFAP) and the Sovereign Order of Cyprus (Knights of Sword and Silence) took place entirely in the beautiful spot of Chateau Bela, where gorgeous circumstances, intimate atmosphere, competent staff, great cuisine and courteous service contribute to the high standard of the investiture. During the early afternoon, all the participants had arrived and after the checking in the series of events began at 13.30 on the 18th October 2014, Saturday under strict scenario. 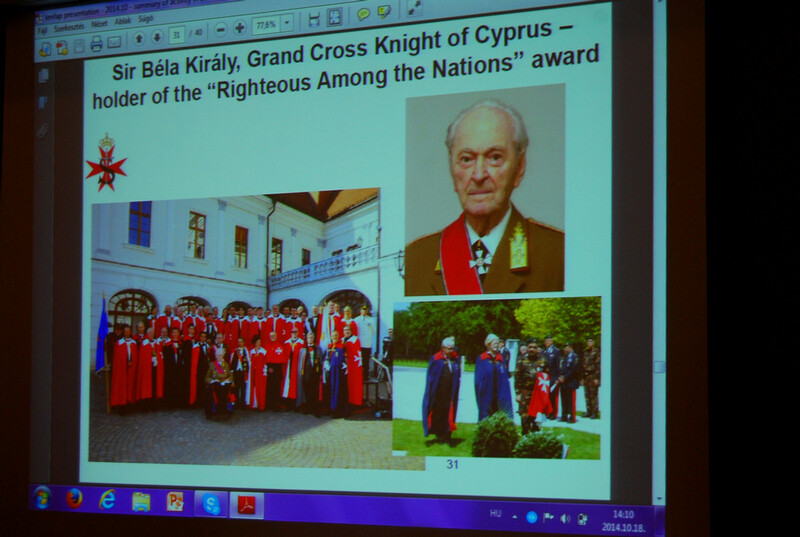 During this event the candidates of Knights of Malta and of the Sovereign Order of Cyprus first met the highest leaders of KMFAP. This is a good opportunity for the candidates to learn about the structure, the leaders and the previous year's major international activities – with special regard to the humanitarian work – of the Knights of Malta through the usual mediated presentation. 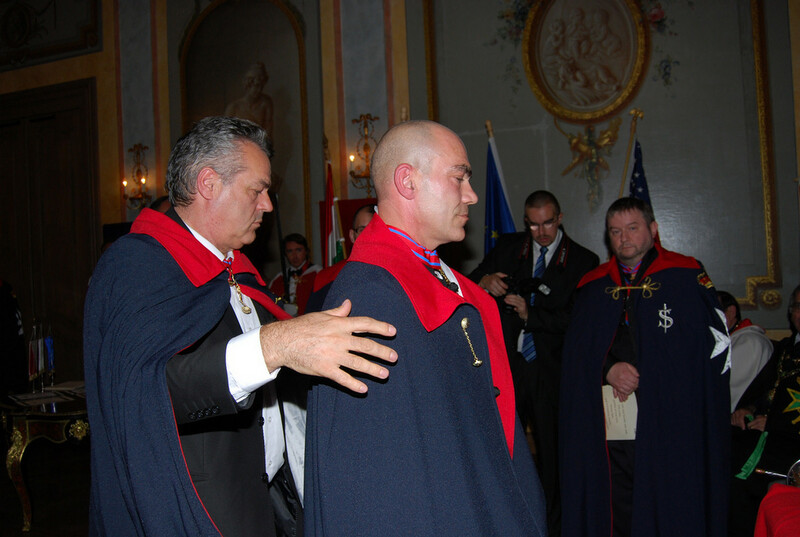 Then the candidates were introduced to the present guests and to the Grand Master, from whom they received the official Postulant diplomas, and the Ten Commandments of Chivalry. Those knights and dames were also present during the introduction, who recommended the Postulant for knighthood, because they undertake the role of the godfather, or godmother over the prospective knight. This time the inauguration ceremony was honoured by the presence of the high-ranking delegation of LAZARUS UNION / CSLI organization from Austria, led by H.E. Chev. Senator h.c. Wolfgang Steinhardt – President of the Lazarus Union and Grandmaster; furthermore H.E. Chev. Christoph Ptak – Vice President of the Lazarus Union and Grand Chancellor; Chev. 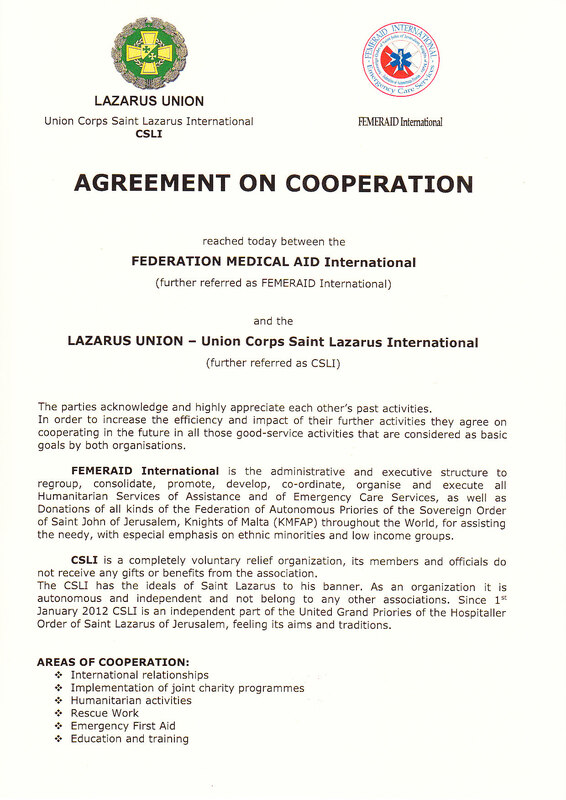 Hannes Hochmuth – Vice President Corps of the Lazarus Union and member of the Advisory Board; and Chev. 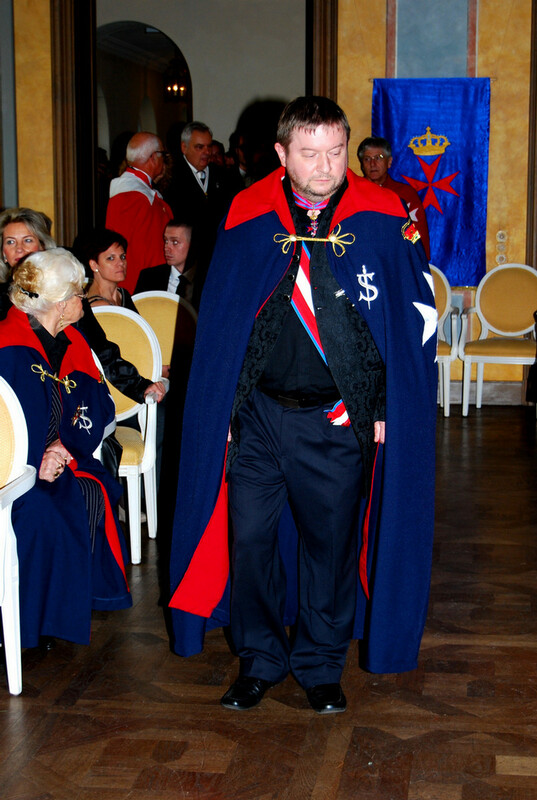 Josef-Maria Gebel, member of the chapter and Grand Commander of the Kighthood of Honour of the Lazarus Union and Chief Auditor. 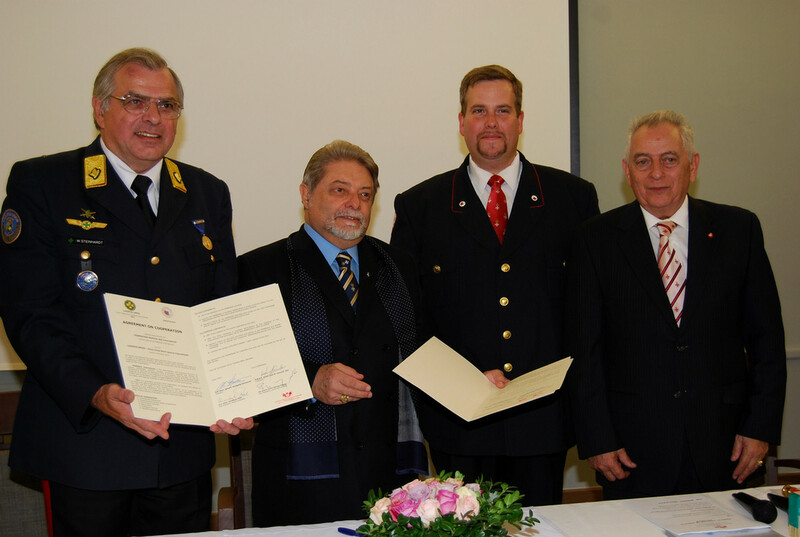 During the “General Chapter of Knights and Postulants” meeting took place the signing of the Cooperation Agreement between CSLI and FEMERAID International (the international humanitarian organization of KMFAP). The President of CSLI and H.M.E.H. 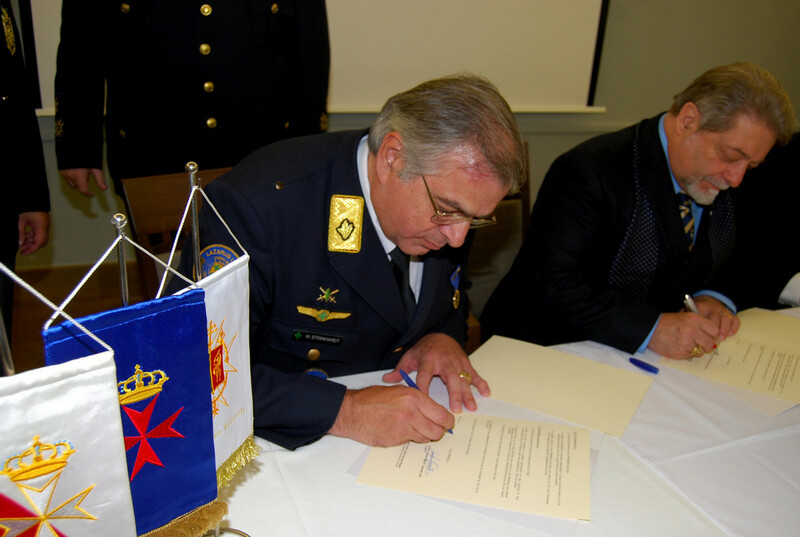 Prince José – Grand Master of KMFAP signed the official document. 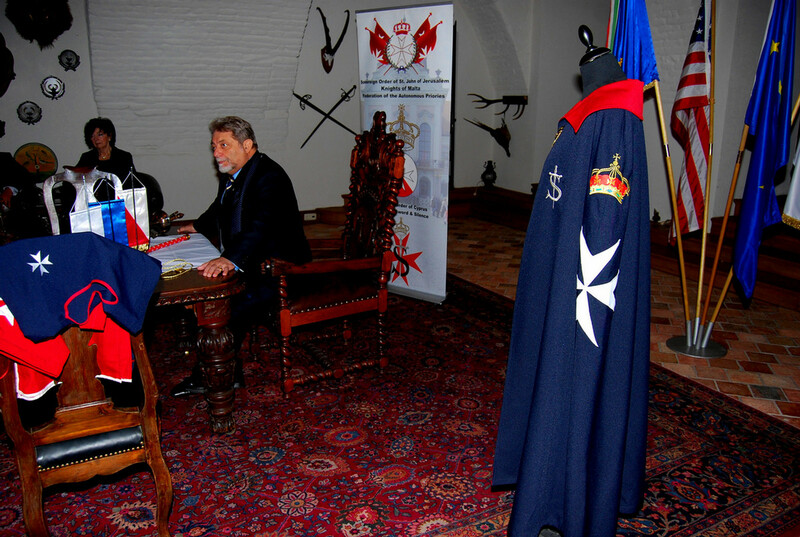 At 15.00 o'clock in the unique atmosphere of the Hunting Hall – following the hundreds years of tradition of the Saint John knights – under the direction of HMEH Prince José Cosmelli, Grand Master all the postulants got to know the history and significance of the symbols of the Knight Order. They could think over their life, and ponder what an important event is approaching for them today, which is worthy of their former life as a deserved recognition. The Knighthood Ceremony is such an honour, which must be understood as an award received for a lifetime work and activity. On the other hand the highest leaders of KMFAP repeatedly stressed this time as well, what is the duty of the knights and what is expected from them. 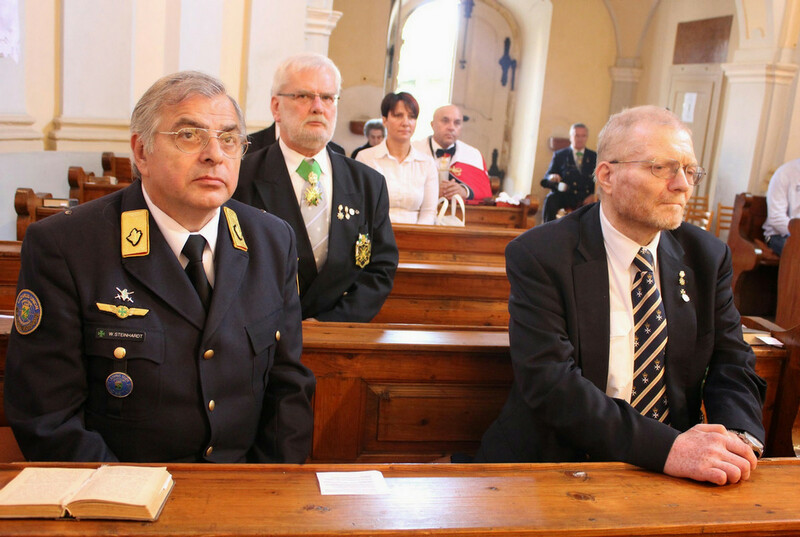 The “Watch of the Arms” event was followed by the Roman Catholic Mass, celebrated by Monsignor Ladislaus (Sir László Szakál) papal chaplain, Magisterial chaplain of KMFAP, and Sir Ferenc Kertész-Bakos in the Chapel of the Castle for our Catholic knights and postulants. 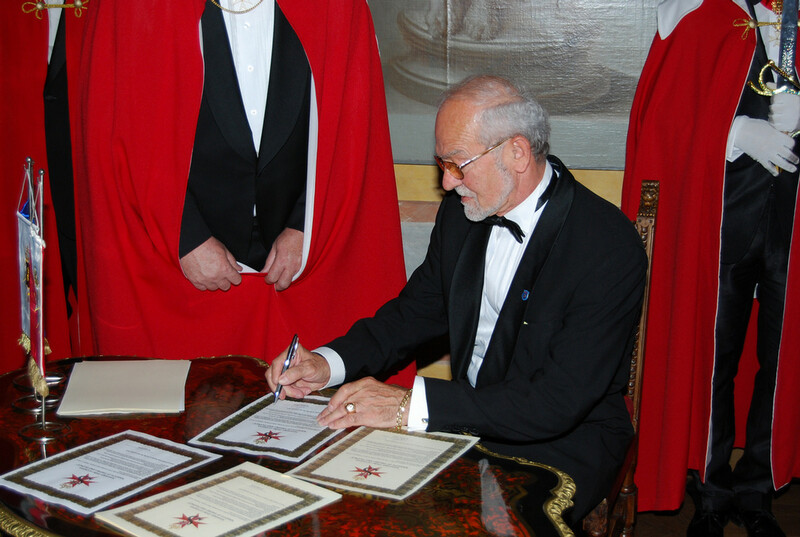 Our members – in the Order of Knights of Malta – not only come from different countries and have different nationalities, as it was also characterized by the Order of St. John of Jerusalem at its foundation, but they also have different faiths. This tolerance is still one of the ideological cornerstone of KMFAP, the respect of chivalric ideals and the humane values – beside the principles required from all our members. At 17.00 o'clock everything was ready to begin the solemn knighthood ceremony: the beautifully furnished and decorated Orangerie hall, the postulants being lined up, their families and guests taking their seats in the hall. 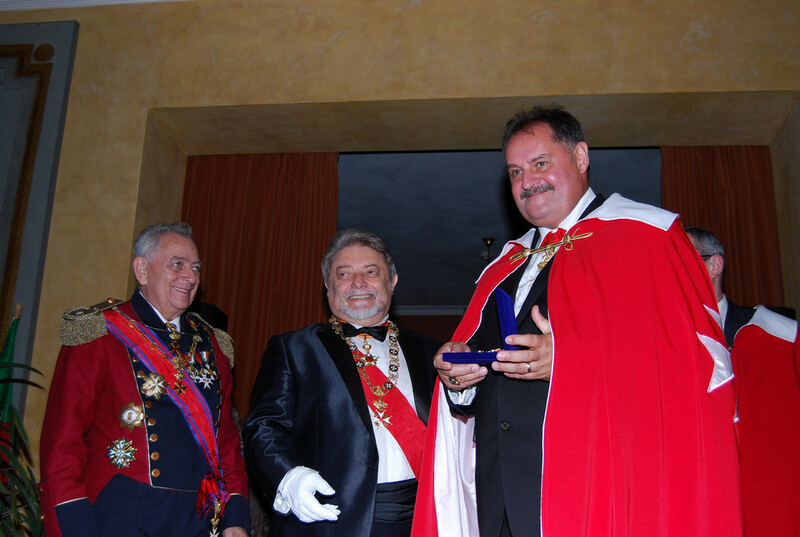 The highly experienced international team – directing and being involved in the organisation, and conduction of the event – was waiting for the trombone sounds and thus began the ceremony and the solemn marching in: first the candidates, then the knights and dames of KMFAP and of the Sovereign Order of Cyprus, as well as leaders and members of our Associated Orders, followed by the officers of KMFAP in ascending order of their ranks, then entered the inauguration swords of Knights of Malta (KMFAP) and of the Sovereign Order of Cyprus. 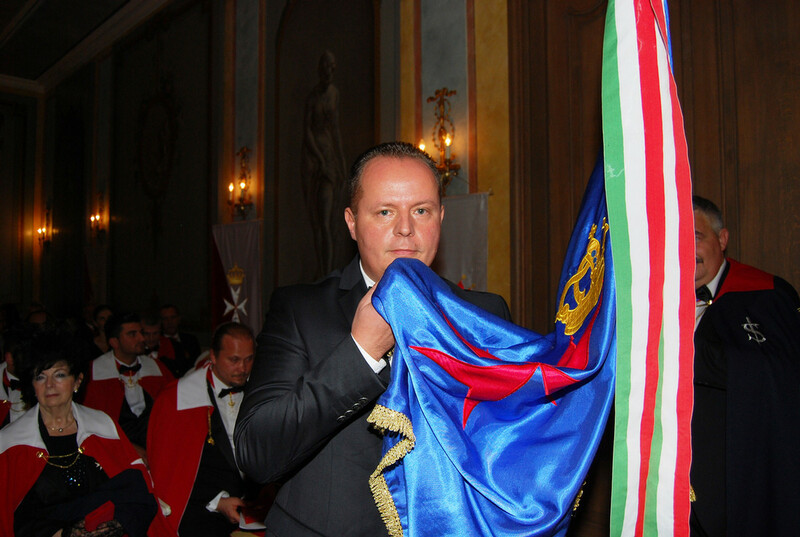 Last, but not least the flags of Slovakia, Hungary, the Sovereign Order of Cyprus and the Knights of Malta marched in and accordingly, the Slovak, and Hungarian national anthems were sounded, followed by the orchestrated KMFAP anthem. During the ceremony the high-ranking delegation of The Order of Saint George, the Martyr from Poland was welcomed again, headed by H.E. Hon. Ltg. Chev. 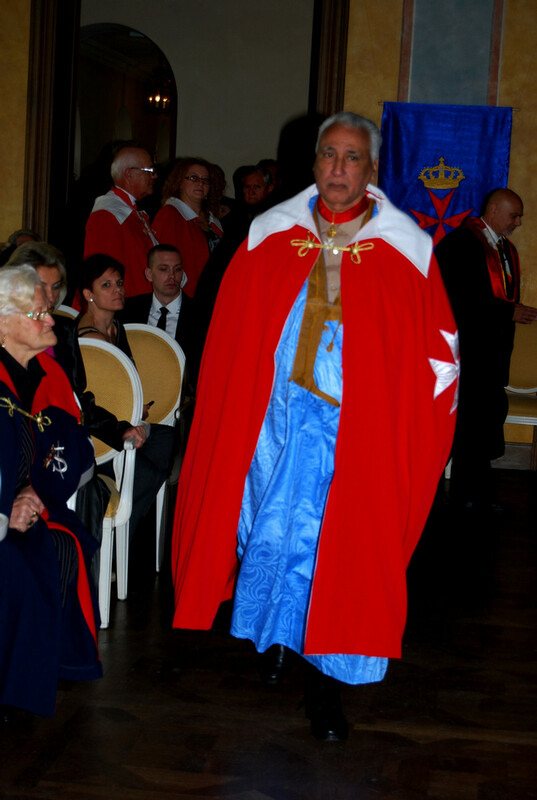 Tadeusz Kaczor – Grand Master, and H.E. Chev. 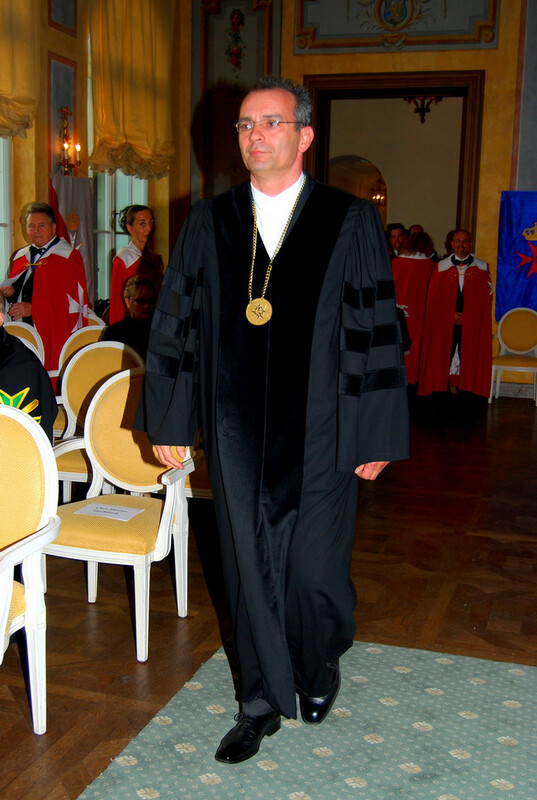 Paweł Michalak – Grand Prior of Poland, Director of FEMERAID International for Poland, Sub-Director of FEMERAID Intl. - Europe Division. 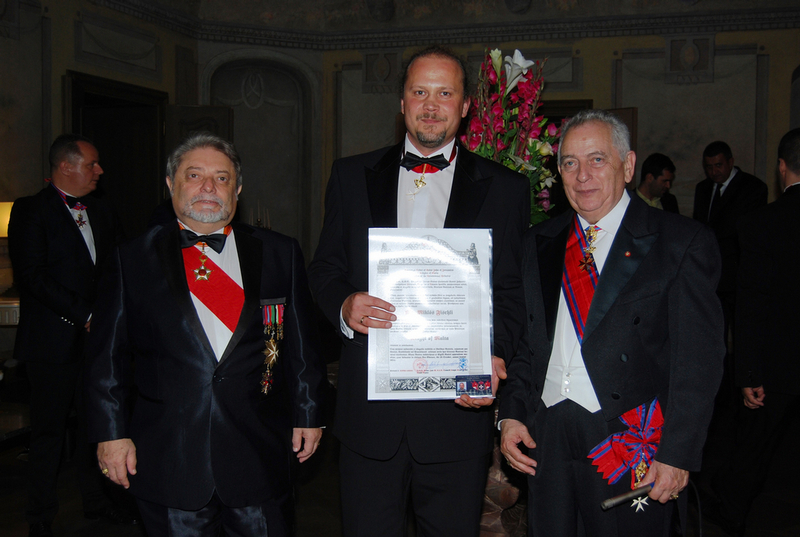 The Order of the Roman Eagle was also represented by senior leaders: Sir Giacomo Spartaco Bertoletti (Italy), Prof. Vladislav Kirilovsky and Mr. Sergey Kosorotov (Latvia). 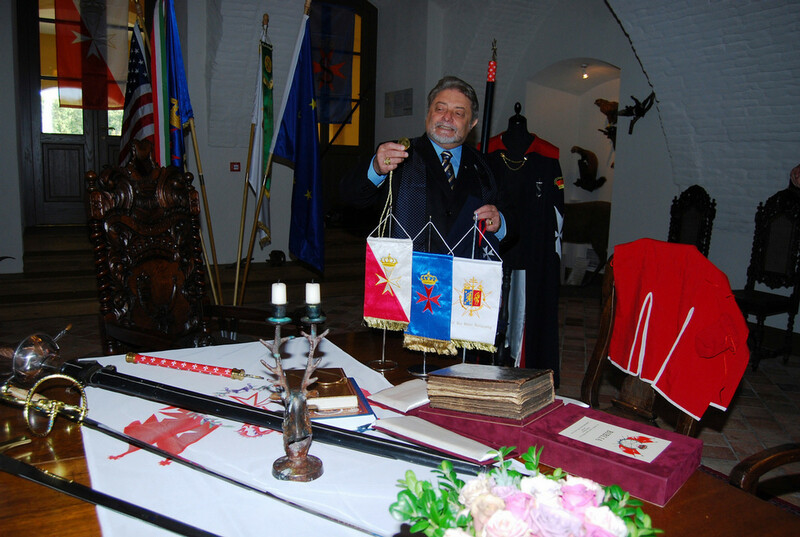 At this solemn ceremony knights and guests from 14 countries were present, as the flags placed behind the grandstand of the Grand Master referred to it. 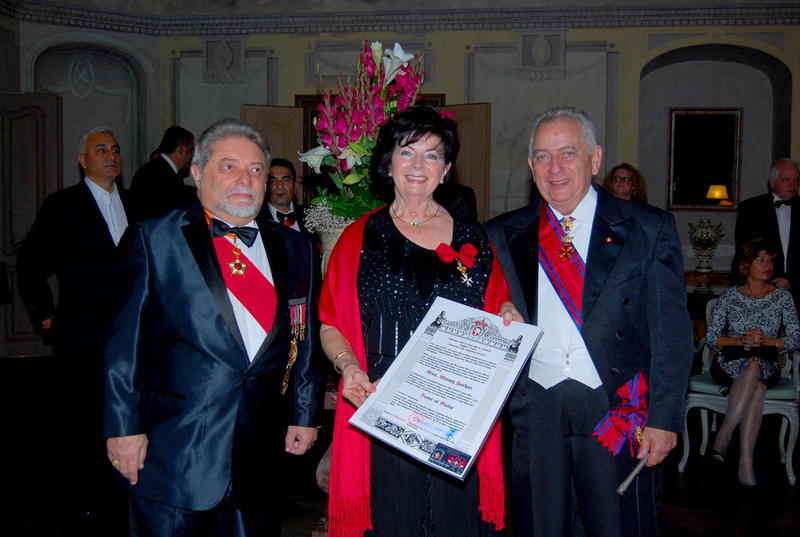 According to the traditions the investiture was enriched by an excellent music program composed for the occasion, in cooperation with Lady Lívia Ágh – world-famous soprano of the Prague State Opera, Ms. Zsófia Kristó – flute, and Mr. Péter Rendes – guitar soloists. 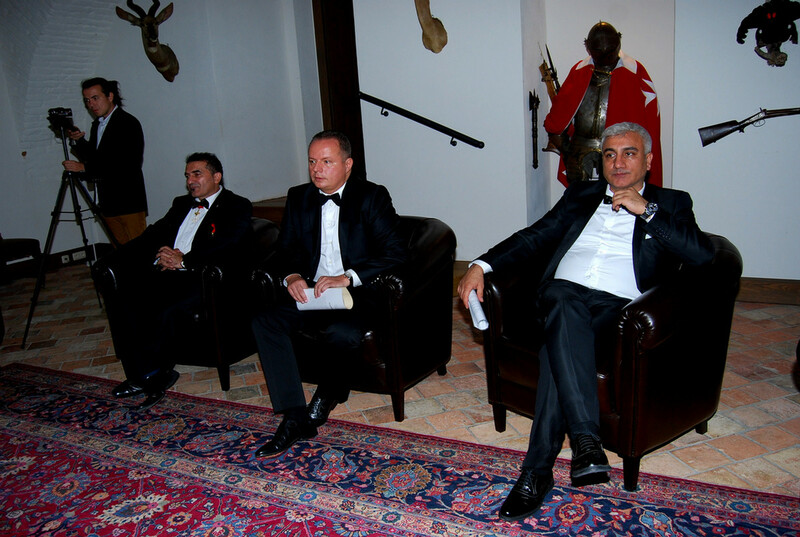 In his welcome speech to the guests, the Grand Master was talking – inter alia – about the work, activities and results of the Order. On all these solemn occasions we commemorate about our deceased knights and dames, and also about those, who struggle with diseases. 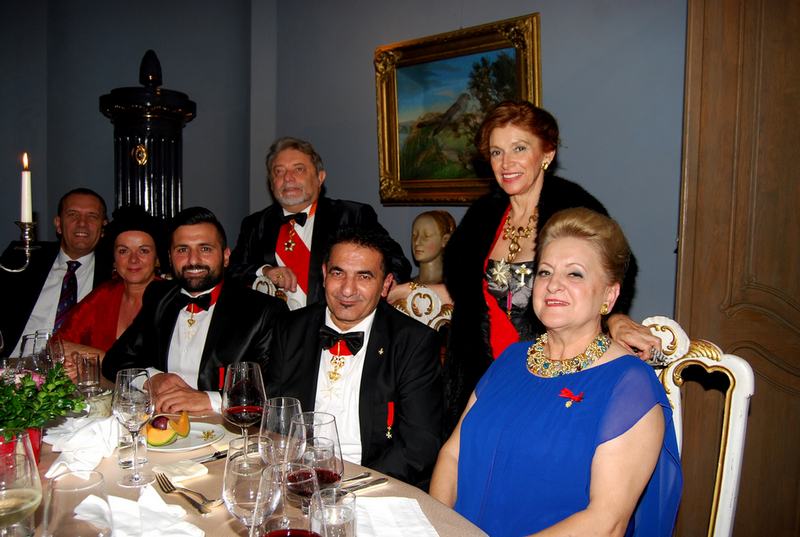 This time – again – “Ave Maria” was performed for all of them by Lady Lívia, and thus we wish fast recovery for our sick members, and the possibility for them to return to the active work of Knights of Malta. 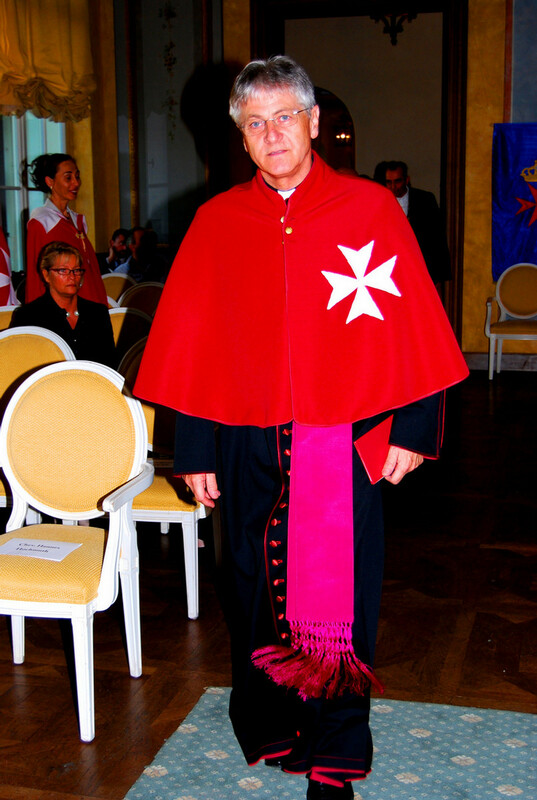 Right before the Knighthood Ceremony (the inauguration) the Grand Master spoke directly to the Postulants. In his speech HMEH Prince José drew the attention to the importance of tolerance and to the growing threats generated by the contrary processes in the world. And then the Grand Master quoted “The Seven Social Sins” defined by Mahatma Ghandi, which the followers of the true chivalric principles must strive to avoid. 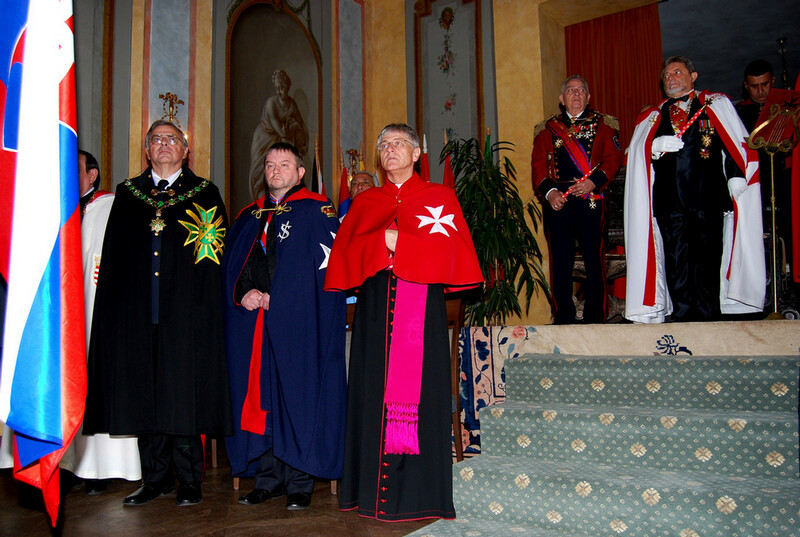 The Ceremony of Investiture was carried out with the assistance of our team of knights and dames. 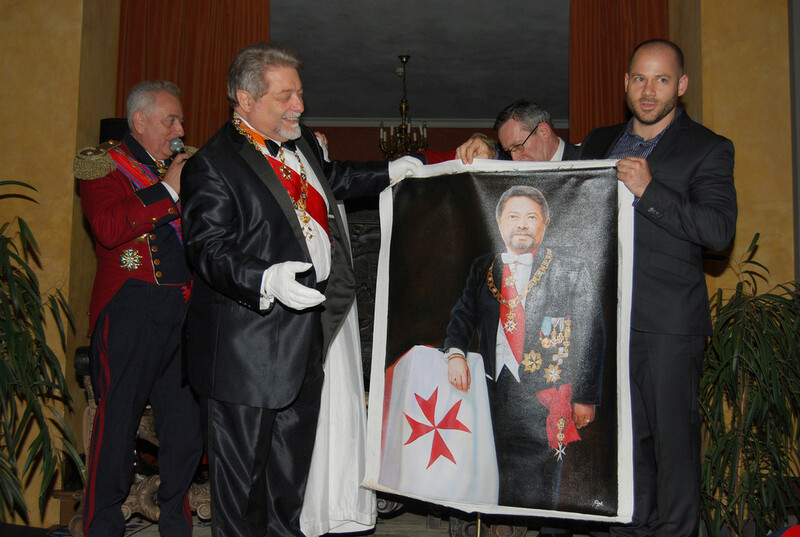 At the beginning Sir Ladislaus – on behalf of all religions – blessed the symbols of KMFAP and of the Sovereign Order of Cyprus, which were given to the Postulants during their inauguration, and afterwards they can wear. 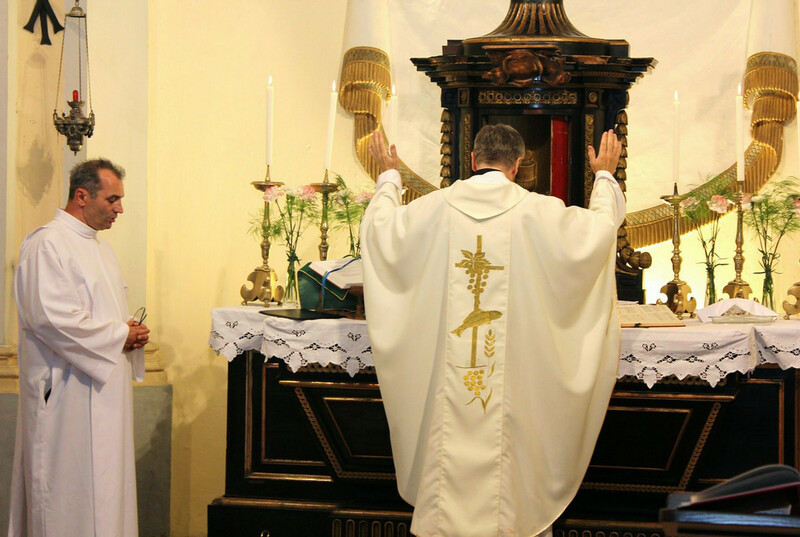 After signing the Oath, and saluting in front of the flag by kissing it at the angle, the Postulants – accompanied by their godfather(s) / godmother(s) – kneed down on the prie-dieu in front of the Grand Master, and the traditional 3 sword-touches formally declared them to be knighted. 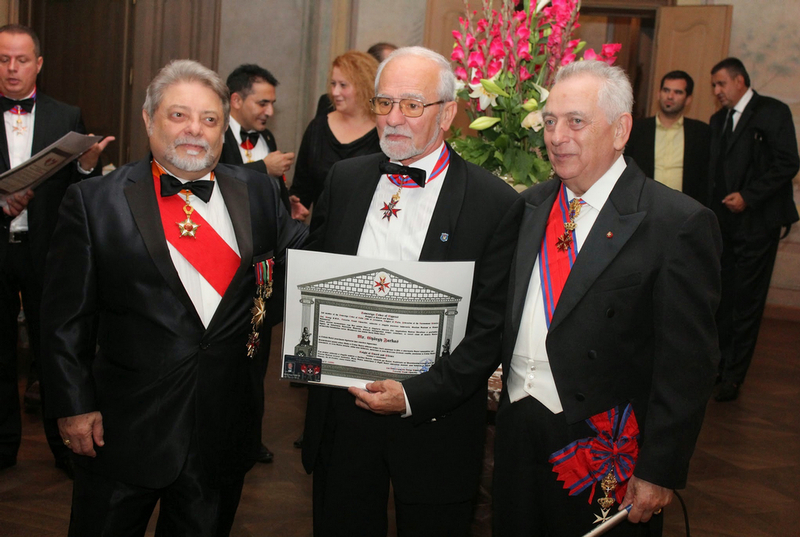 The Order of Knights of Malta and the Sovereign Order of Cyprus knighted new candidates from five countries. 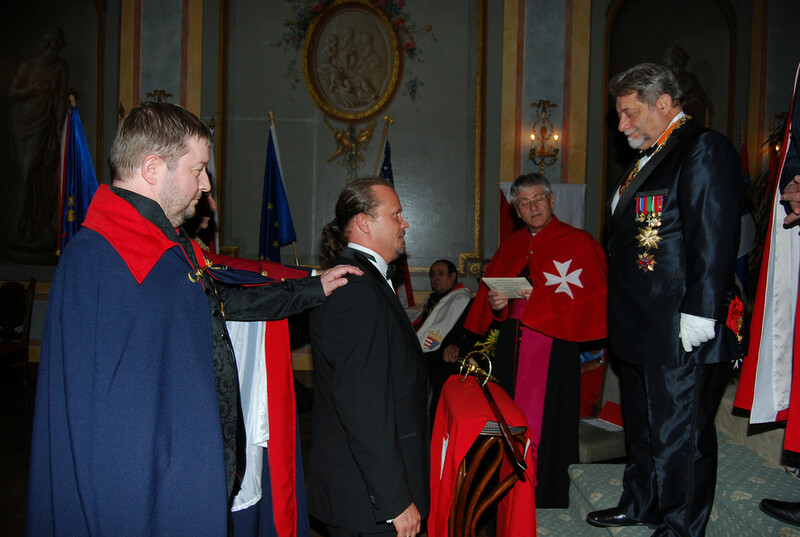 The Knights of Malta (KMFAP) invested 8 new knights and 1 dame, while the Sovereign Order of Cyprus, the military wing of KMFAP – knighted 5 gentlemen and 1 damsel, who became members of the privileged group of the Knights of Sword and Silence. 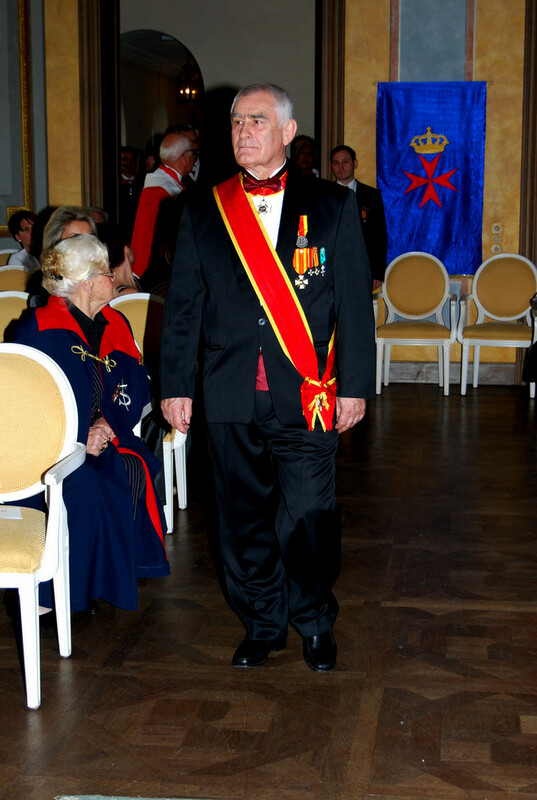 Of course our active knights and dames were also rewarded for their outstanding, remarkable work and significant activities – done for the benefit of the Order – so contributing much to the development of the Knights of Malta: advancements of grade were presented during the ceremony. At the end the Ceremony Speaker expressed her thanks and gratitude – on behalf of the Order – to those knights and dames, who selflessly and effectively assisted and so contributed to the success of the event. 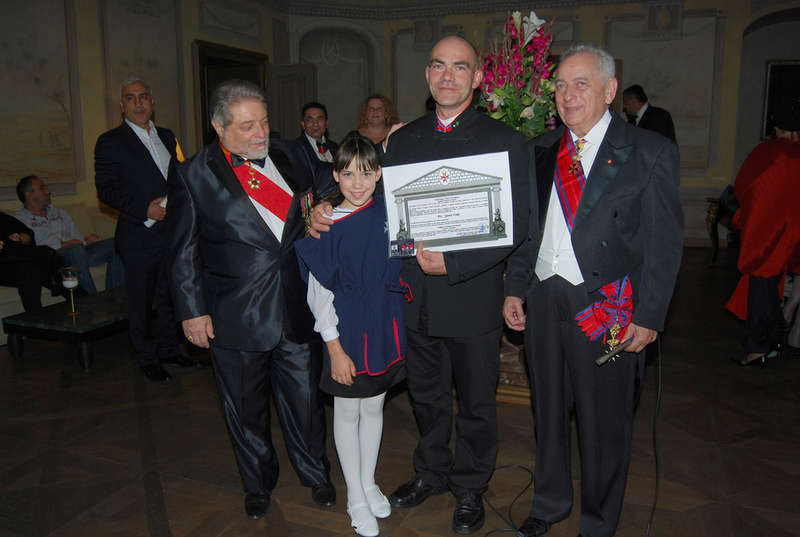 The Knighthood Ceremony ended with the congratulations and photography, but for the newly invested knights and dames the real work has just begun with their active participation in our humanitarian work, which is the main activity of the Knights of Malta. After a short break and little rest the closing event of the Ceremony of Investiture began, which was the Gala Banquet and Ball. The knights and dames, family members and friends took their seats at the tables in the salons of the castle. 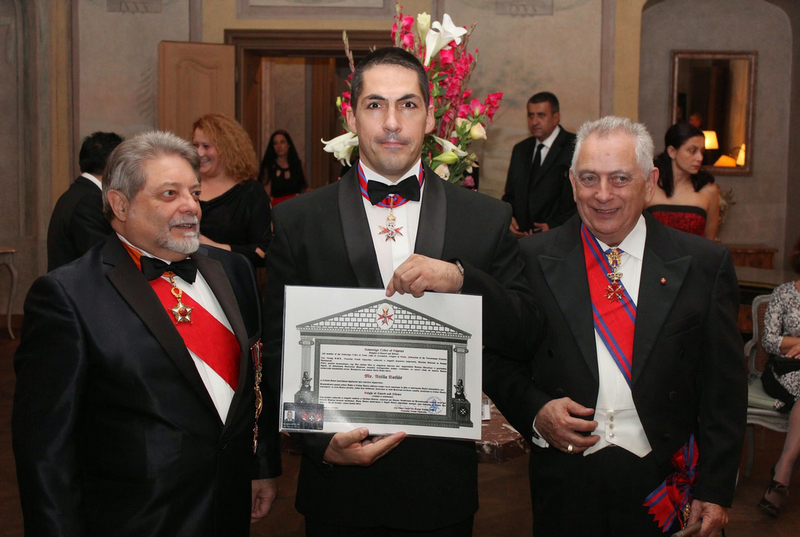 The newly knighted members of KMFAP and of the Sovereign Order of Cyprus received their official diploma of knighthood, Federation ID-card and signed oath after the dinner. Then the knight-cake was received in the main salon, which was cut up by the wonderful singing of Lady Lívia. The great atmosphere with friendly conversations and the delicious dinner were made even more enjoyable by the live music and dance, and the musical involvement of some knights caused a real surprise to the audience. All this contributed much to the remarkable conclusion, and a memorable day of the Ceremony event. 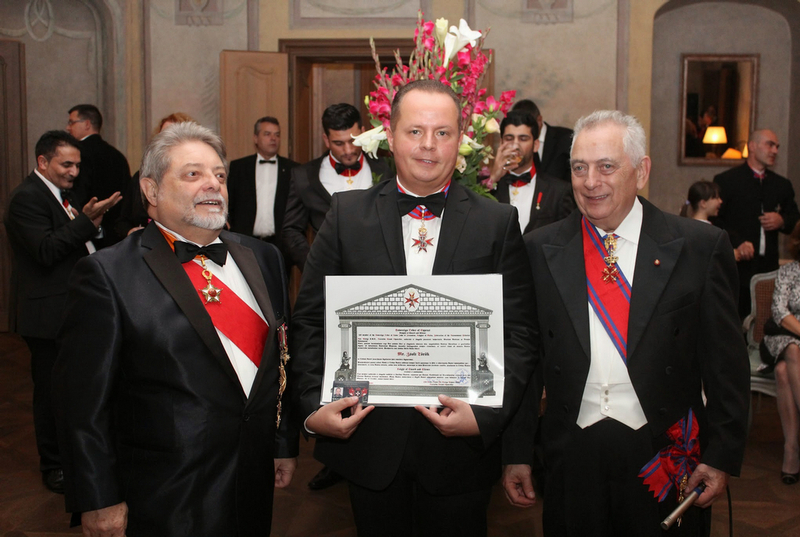 The celebration lasted until dawn, then to place it with our humanitarian work in order to help those in need, which is the most important activity of the Knights of Malta (KMFAP), and this confirms its validity in the 21st Century as well.